It doesn’t matter where you are or what you’re doing–when Tyler Spoon rips a 2-RBI base hit in an NCAA Regional game, it’s time for a Hog Call. 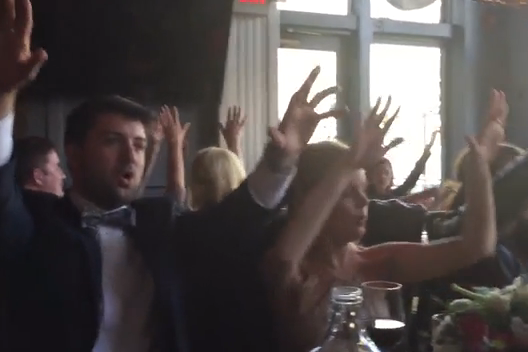 Which is exactly what this group of Razorback fans did when celebrating the wedding of Jordan Wright and Taylor Burgess in Telluride, Colorado. That’s dedication.